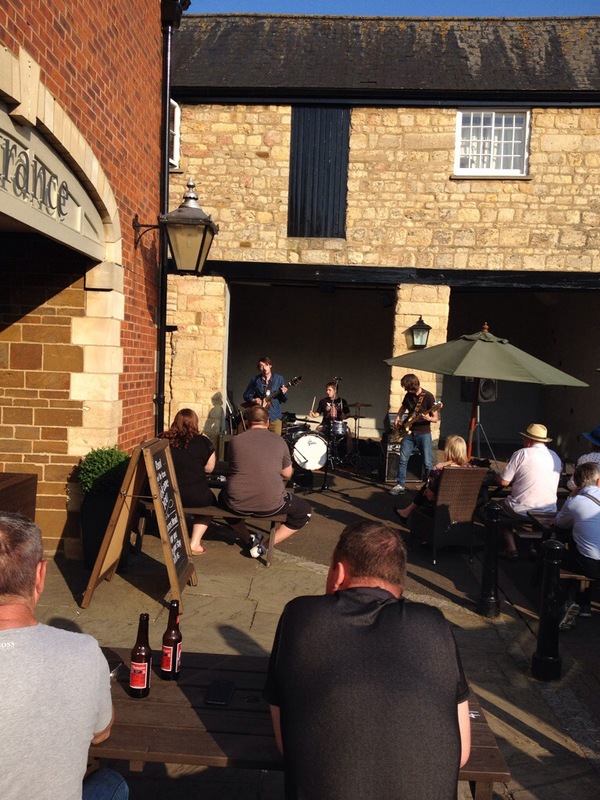 Towcester hosted it’s annual Midsummer Music event this weekend. The town was transformed into a showcase of local musical talent as various buildings, pubs and restaurants became stages for the acts to perform in. The weather was delightful once again as a sunny Saturday evening provided the perfect backdrop for this popular event. 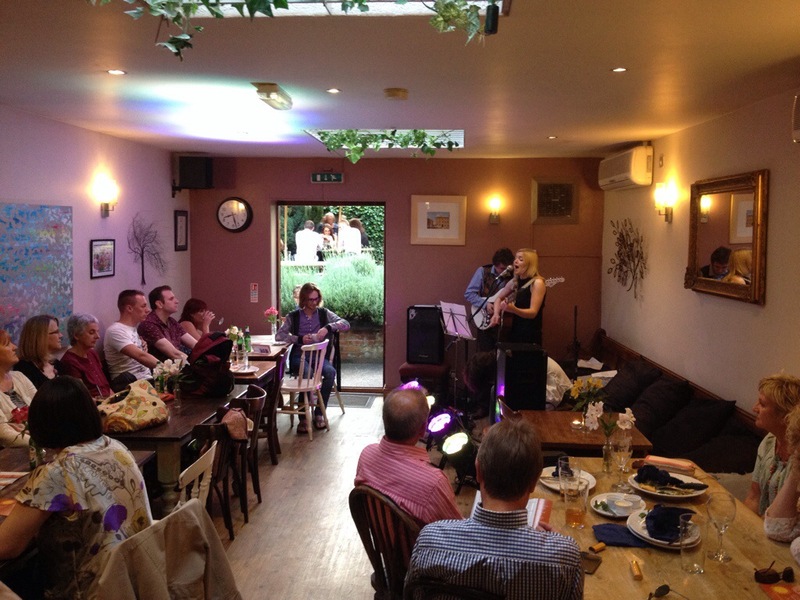 We started our musical adventure at The Saracens Head where Krissy Matthews and his three piece band performed in the courtyard. All of the tables were full as locals enjoyed his mixed playlist of self written and covered blues inspired tracks. Krissy was very vocal and despite joking that he had smoked something he shouldn’t have, he produced a set which kept the crowd going and opened up the event with punchy energy and style. We headed to the town square to see the Mayor officially open the festival at 7.15pm before quickly heading to St Lawrence’s Church to watch the Towcester Choral Society perform. This was truly breathtaking as the Choral Society performed famous songs from the movies which included Raindrops keep falling on my head (Burt Cassidy & The Sundance Kid) Andrew Lloyd Webber’s The Phantom of the Opera and a selection of songs from Mama Mia. 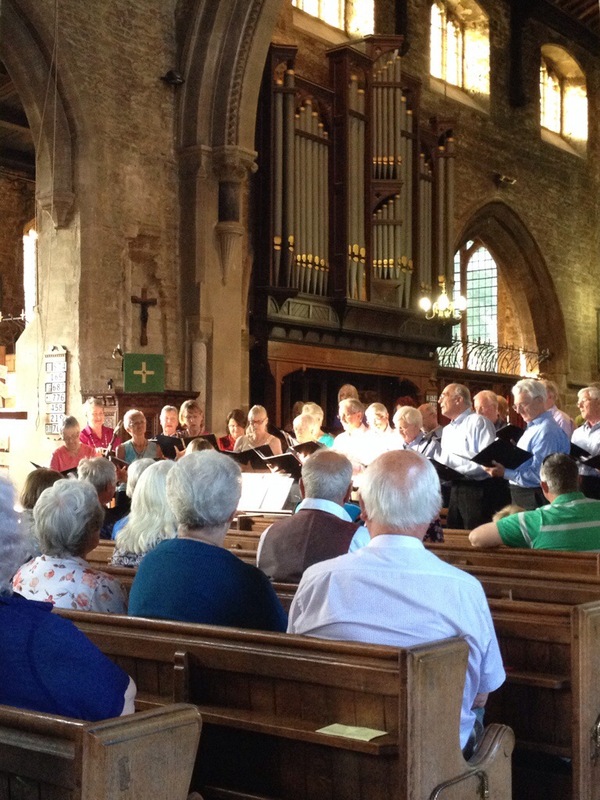 St Lawrence’s Church is a beautiful building and the tall ceilings and open halls created an acoustic delight. As there were many acts performing in the evening it became apparent that we would be rushing around nipping in to see various parts of acts. We quickly made our way back to The Saracens Head to watch the Giocoso Concert Band in the Pickwick Room. From Swanbourne in Buckingham we heard them play the theme from Star Trek before they took a break. Once again we were back on foot to The Dolphin Cafe to watch Nathan & Katrina. Katrina Harris certainly delivered with her powerful vocals including a pitch perfect cover of Katie Tunstalls classic Black Horse & A Cherry Tree. Nathan Digby & Nial Hoggarth completed the three piece act who went down extremely well. Their songs were original, exciting and fresh with a mixture of classic and modern blues, soul, pop and rock pieces. 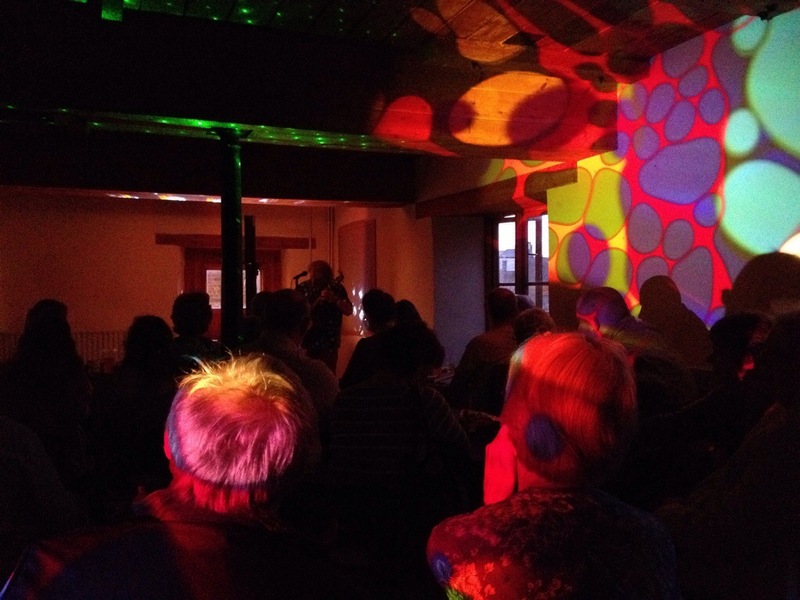 The next destination was Towcester Mill to watch Craig sing and play acoustic guitar. Craig was extremely quirky and delivered a high energy filled performance which included a couple of amazing covers including Crowded House – Weather with you and Queens – Don’t stop me now. We spoke to Craig after his performance and found him to be extremely pleasant and slightly humbled by the compliments we paid him for a fantastic show. The Midsummer Music Festival then held it’s Firework Display on the Mount which lasted around half an hour and was typically exciting and didn’t disappoint. The music didn’t stop there as we headed to The Brave Old Oak to watch The Band Isabelle. This six piece edgy pop and rock band are from Bedford and were the highlight of an amazing day/night. With a twist of funk and soul the lead singer ended a high temp medley of music with a flawless performance of the hit by Moloko – Sing it back. The place was filled with people enjoying the fresh vibes produced as the music went on past midnight. It certainly was a success and I can’t wait for Midsummer Music to return in 2015.